Kmart hacks are all the rage these days! 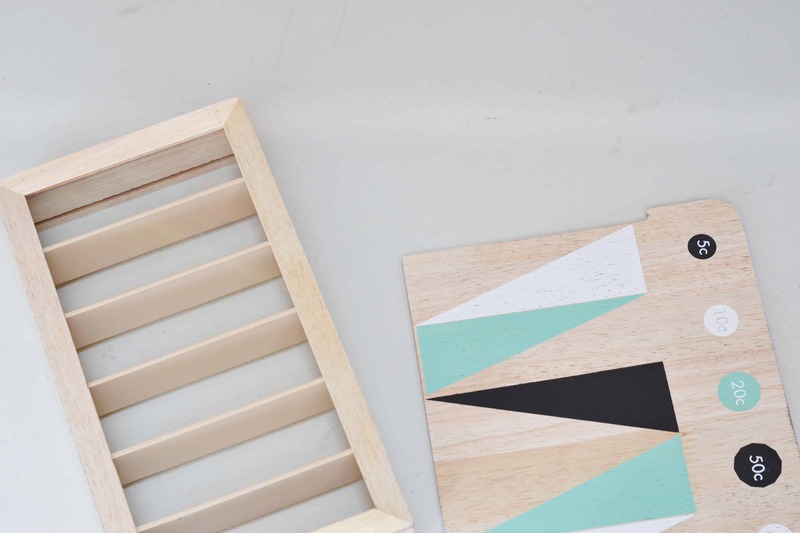 Kmart is known for their affordable home decor that you can jazz up and re-purpose to do pretty much anything! 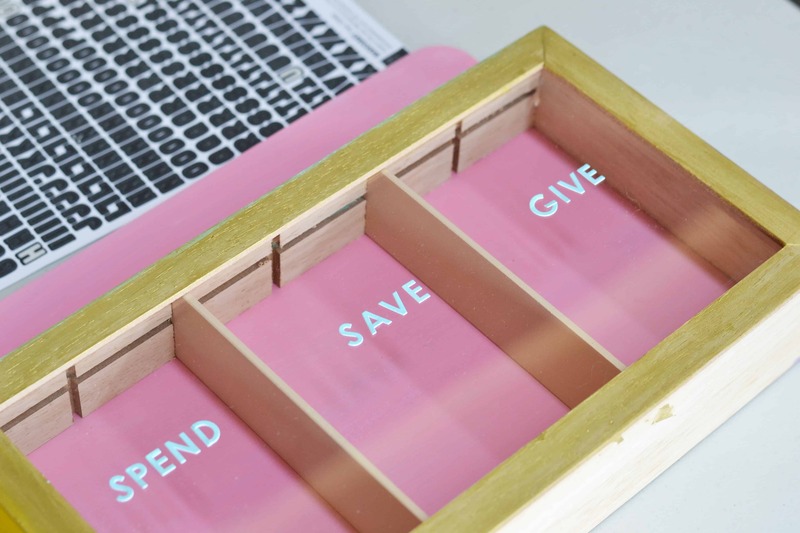 So when my good friend Cherie shared her Kmart money box hack, we just had to do our own! 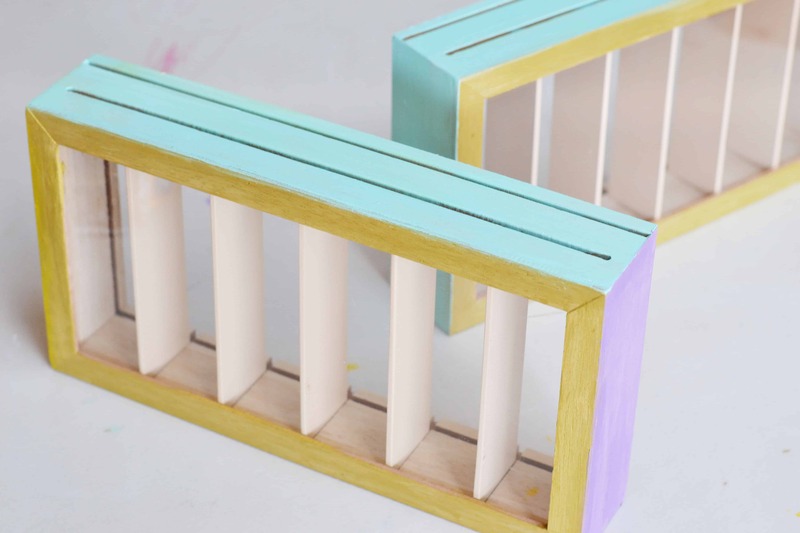 This is a super easy DIY project you can get your kids involved in. Best of all, it doesn’t take long! We did ours in about 2 hours from start to finish. It also helps get your kids excited about earning money, when they have a special place of their own to put it! Although there is more to it! 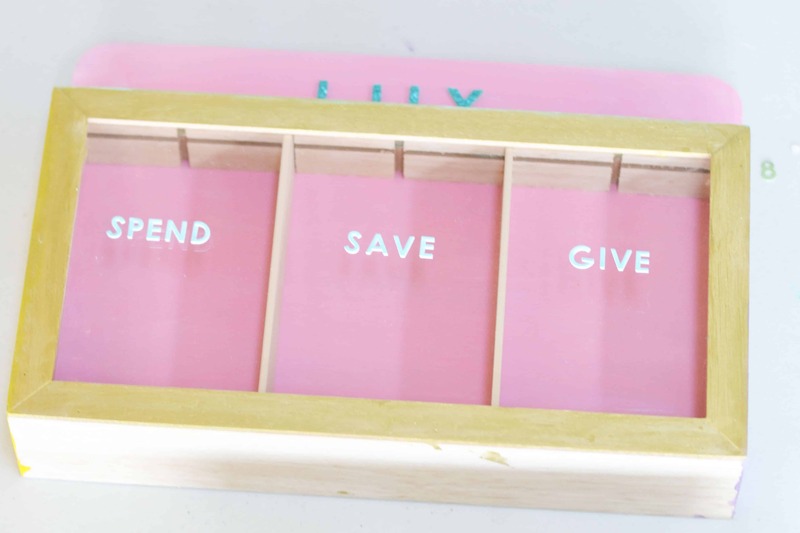 These money boxes actually have a very special purpose in our household, as they will serve as our Barefoot Investor ‘jam jars’, but more on that below! If you’re looking for a standard money box, Kmart has plenty, but this one is a hack ready to happen! 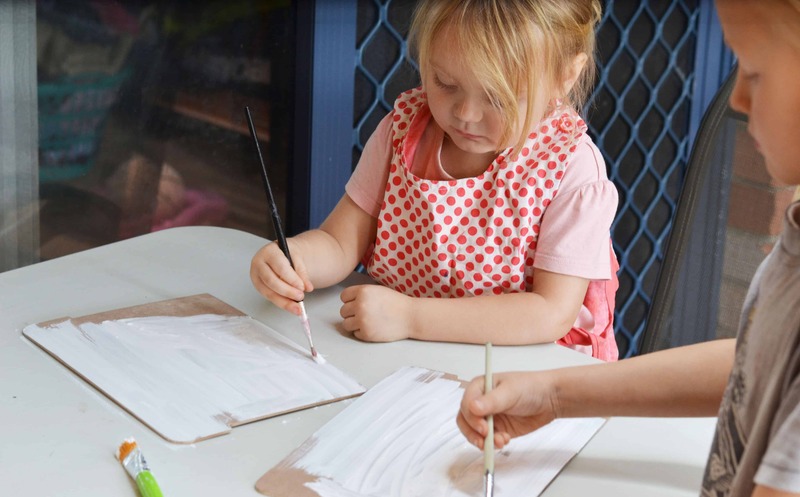 Finding easy craft projects you can do with kids is a great way to develop their creativity. 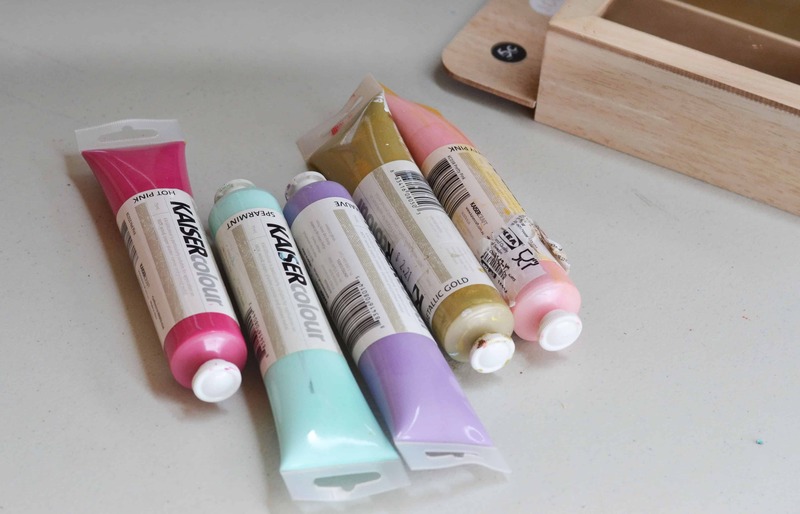 Craft and DIY projects are also perfect for rainy afternoons or weekend entertainment when you need some boredom busters and this one was inexpensive and did not require a lot of materials. So you may be thinking, why is it a hack when you’re just changing the colours. There’s more to it than that. We are doing a bit of a modification too! In this household we have become avid followers of The Barefoot Investor system of managing money, and with the recent release of his new book The Barefoot Investor for Families: The Only Kids Money Guide You’ll Ever Need, it had us wondering what we would use for ‘jam jars’. Cherie to the rescue! If you haven’t read the book yet, do it!! The easy system author Scott Pape has created to teach children about money is pretty impressive… but best of all, it’s simple! Even if you have zero money wisdom! At the most basic level, kids have 3 jobs to do each week which earns them pocket money at an amount you determine. Their weekly pocket money is divided into 3 sections. They choose how to divide it so long as money goes into each ‘bucket’… or in their case, each jam jar. They are labeled splurge, smile and give. 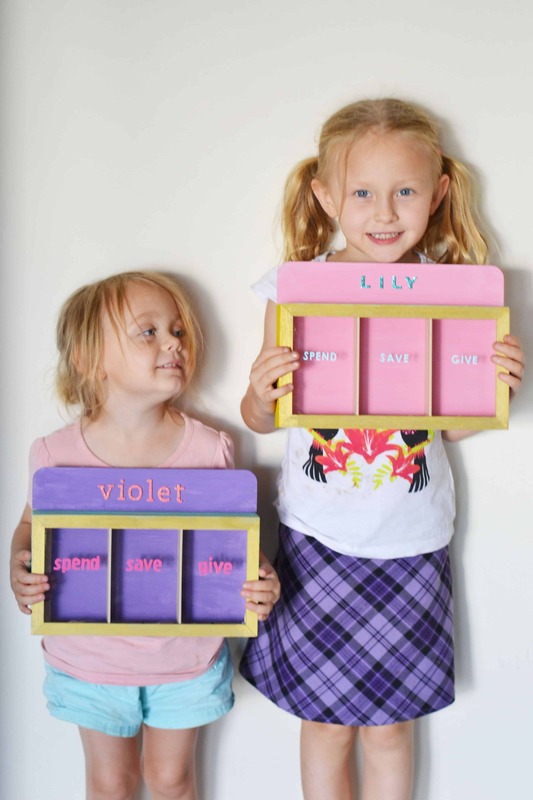 As you will see in our tutorial, we simplified this even more to suit our girls ages – 3 and 5. Our three buckets are Spend, Save and Give. And instead of jam jars, we went for a Kmart hack that the kids got to help with! 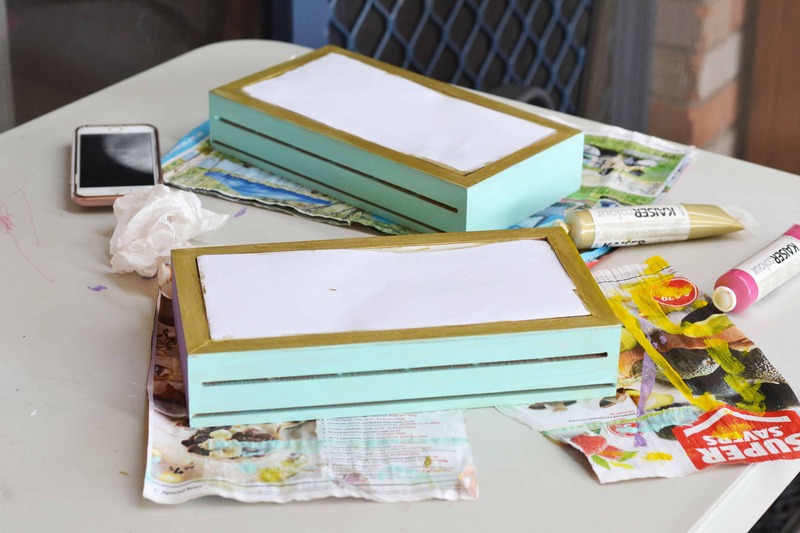 We have put together a quick video tutorial to show you how we put modified our Kmart money boxes. We hope you enjoy it! And of course, if you prefer written instructions or need to refer back to any of the steps, the full tutorial is below. This is the kids money box we are using for our tutorial. They are cute as they are too but we don’t want the coin values on ours which is why we are giving it a Kmart hack! 1 . 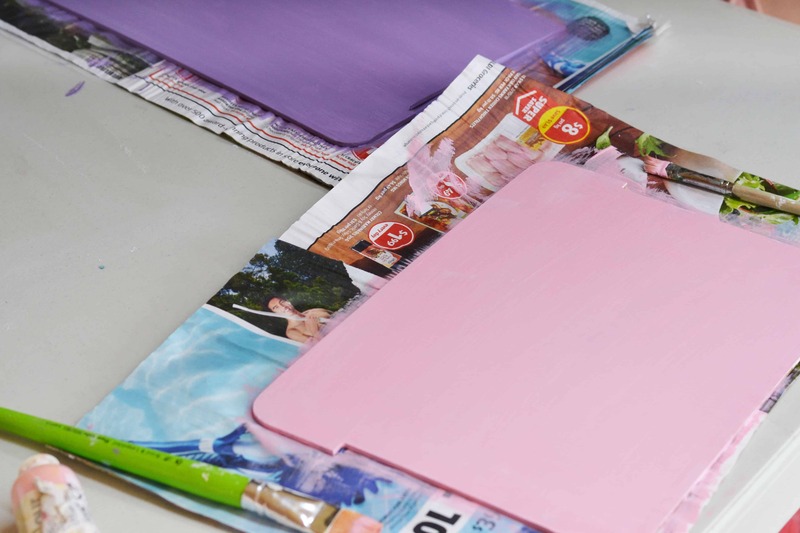 Cut out a piece of paper to use as a cover for the front plastic area to avoid getting paint on it. 2. Paint the panels in the colours you wish. 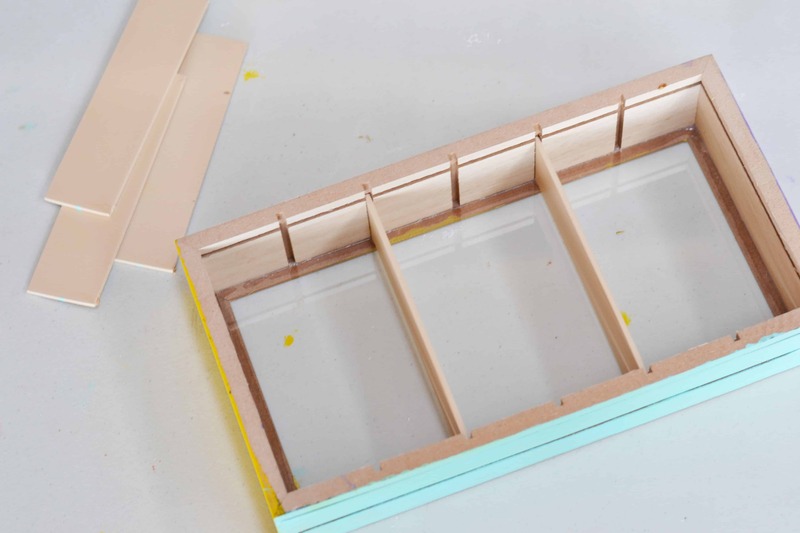 Allow the sections to dry between coats. We painted ours white first for better coverage. 3. 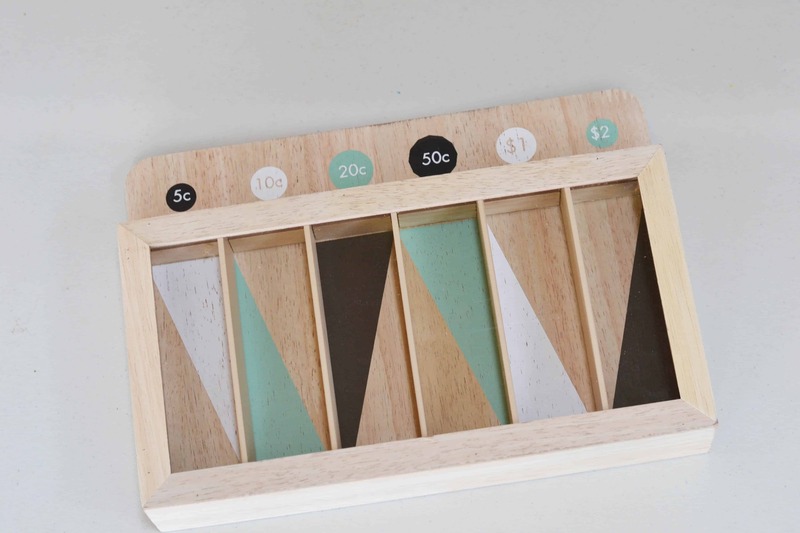 Pop out the extra coin dividers. Use scissors to break the seal of the glue if needed but be gentle. 5. 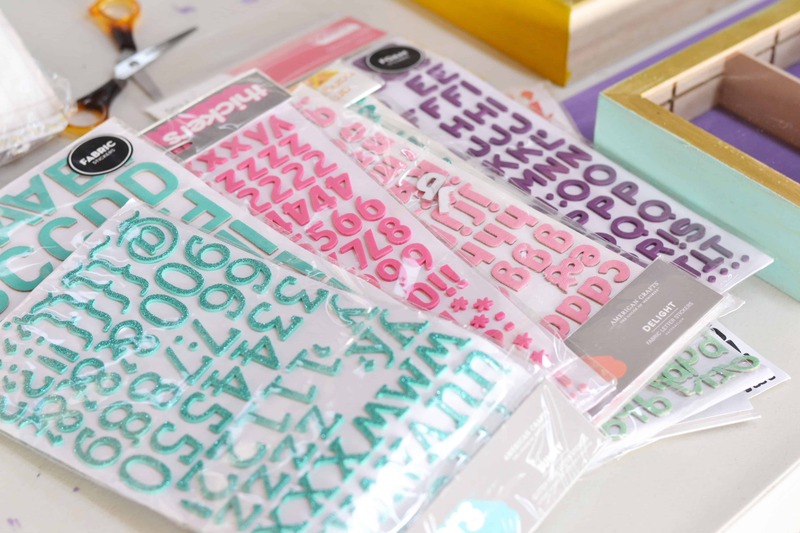 Use alphabet stickers to name the 3 dividers – Spend, Save, Give. 6. 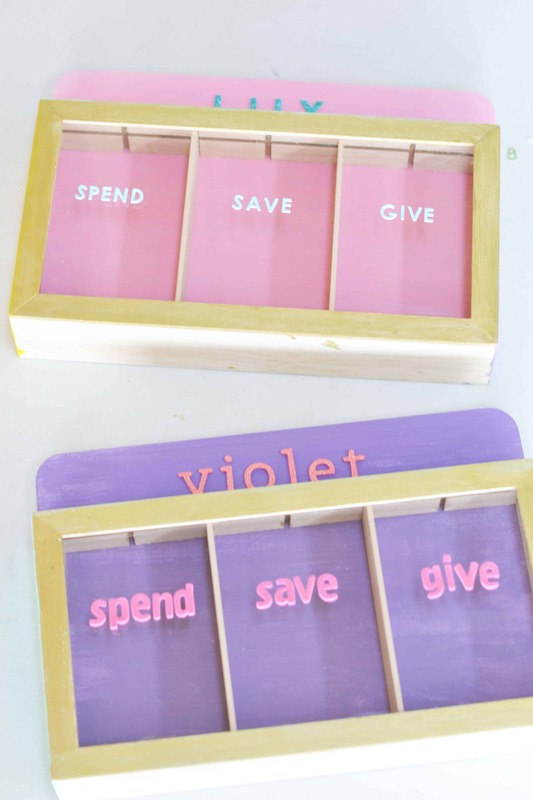 Add child’s name to the top of their moneybox and decorate if you wish. That is all there is to it! 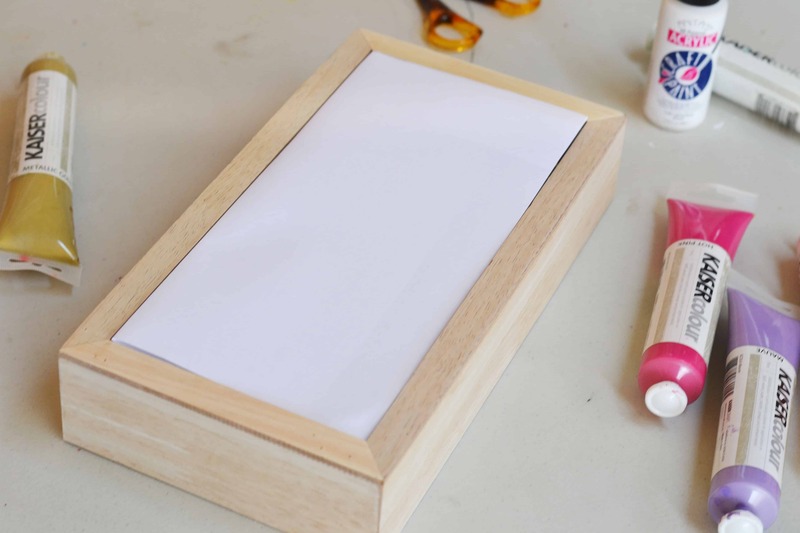 Super simple and easy craft project to personalise your own kids money box! You can do with your kids to help them learn about money and how to become avid savers and charitable individuals. 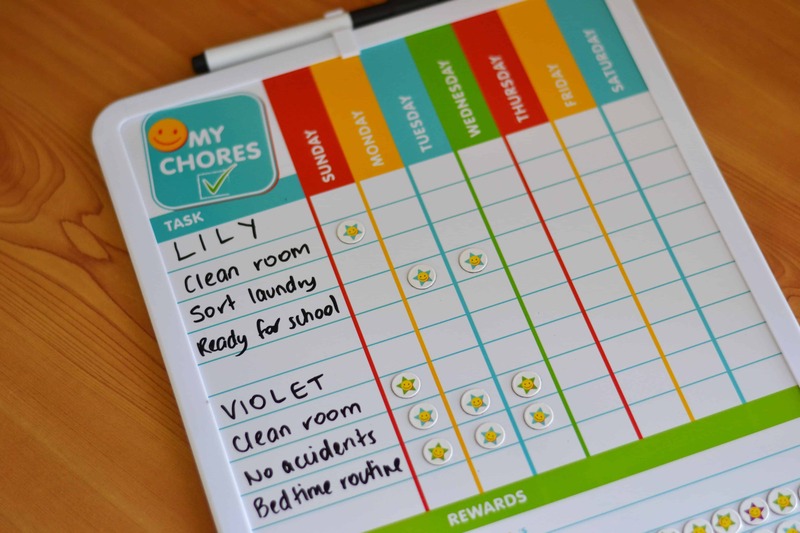 Also since Kmart just keeps on giving, we also grabbed a $5 whiteboard Kmart chore chart when we were in store, which is the perfect addition to your Barefoot Investor chore tracking. This means no printing out your weekly chore list because you can just use the whiteboard and magnets to do it instead. Gotta love a bargain that will simplify your life!! While we are onto the theme of teaching responsibility in children, make sure you pop on over and grab my FREE PRINTABLE GOALS WORKSHEET and learn how you can teach your children how to set goals that stick. 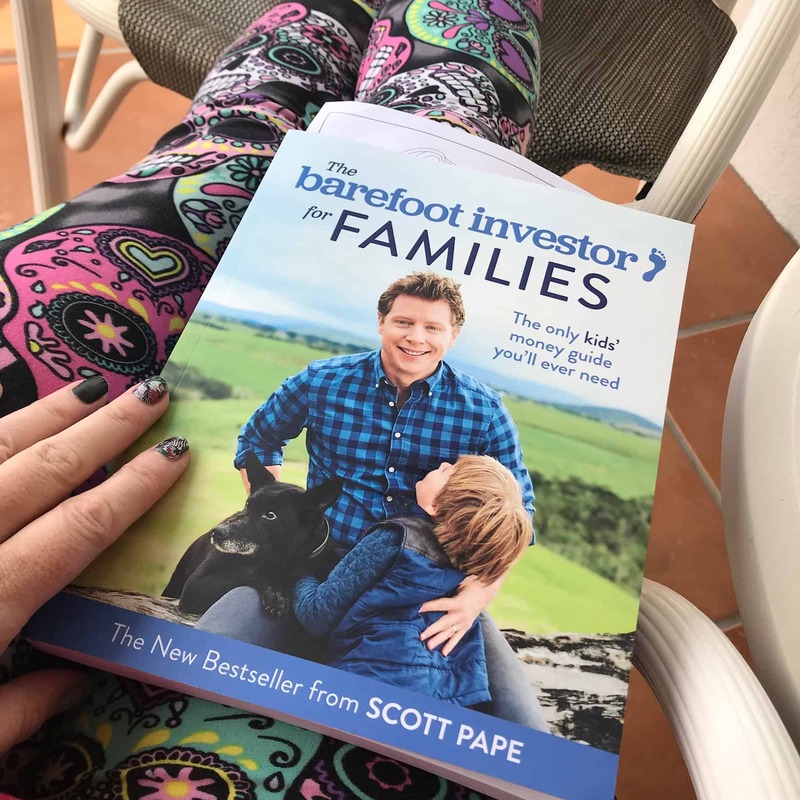 Don’t forget to grab yourself a copy of the new Barefoot Investor for Families book too so you can have your kids money savvy and filling their Kmart moneybox in no time!